Throughout the first half of the twentieth century to the early 70s, the legendary Rio Yavari was the only remaining large perilous river of the Amazon region. Blame the Mayoruna Indians, particularly aggressive, who led constant raids against the settlers and their Native and pacified allies. Nobody knew their real name, the Matses, which in their language means "the people" ... Pacified in 1969 after being bombed by the Peruvian army, they were gathered on "Good Hills" and since then heavily restricted access to what they call their "sanctuary." In 2015, Arutam, through our local partner Latitud Sur, started at their request a new identity revaluation project. 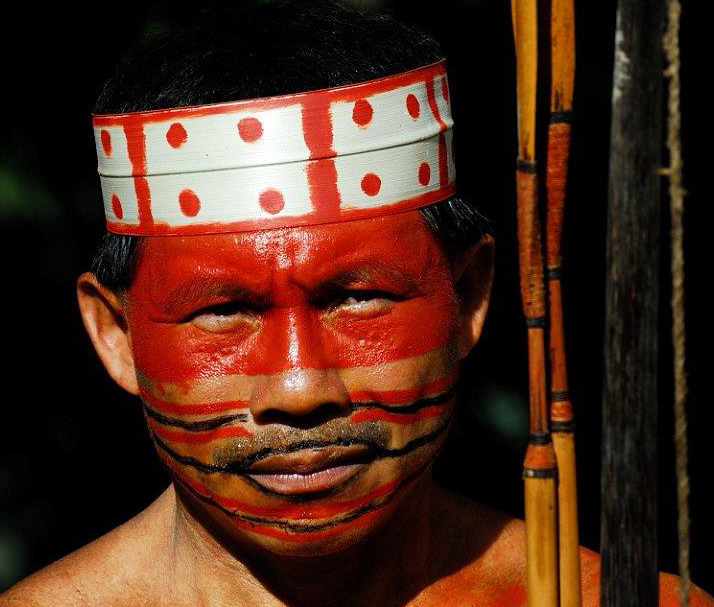 Under the generic term Mayoruna we actually find several tribes from the Rio Yavari, border river between Peru and Brazil, including the Matses / Matis and the Marubos / Korubos. Polygamists, they are part of the Pano linguistic group like the Shipibos. 1200 km long, the Yavari river which originates in the Sierra del Divisor, was still unexplored in the nineteenth century, due to its location at the edge of Portuguese and Spanish influence. Therefore native indians occupied a large space (almost 150,000 km²), expanding their raids north and eastbound on the Amazon river banks, south and westbound towards the Purus and Tapiche banks. Such raids gave them the solid reputation of "women thieves". From 1860, following the economic expansion and the rubber boom, the “patrones” and “caucheros” ventured on the Yavari river, killing and repelling the Indians towards the inbetween rivers forests. The Matses fled to the sources of Galvez and were separated from the Matis and Marubos who hid on the Brazilian side, between Curuça and Itui rivers, close to the Korubos. 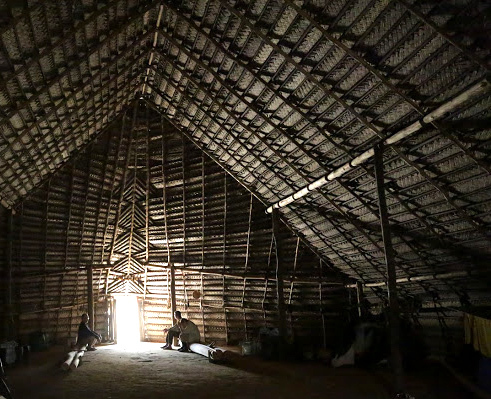 Around 1920, Mayoruna people continued their expansion due to rubber market collapse. Women kidnapping remultiplied and Yavari counters became scarce. The situation got worse in the 60s when the Peruvian state launched the Iquitos-Angamos road project. The Matses were constantly attacking the workers, therefore the Peruvian army, with the help of American aviation, decided to bomb several malocas with napalm in 1964! Two evangelist sisters, Harriet Fields and Hattie Kneeland , alias Luisa and Enriqueta, dedicated their lives to the Matses and installed a large mission in Buenas Lomas. During almost 30 years, family after family, they convinced thanks to their gifts (machetes, pots, munitions, hooks, clothing, medicine, etc ...) all Matses without exception and even some from Brazil, to join them around the church and their aircraft landing area. Hunting had become impossible around the mission. Therefore a few Matses families decided to settle further north, on Rio Galvez, near Angamos military post, in order to increase trading. They would gradually open up to tourism and launch an ethnic recognition process which led the Peruvian government to legalize in 1998 a municipal area of 457,000 hectares. They lost half of their territory in the process: 420,000 hectares were converted into a Matses National Reserve, alledgedly to establish a protection zone around the municipality, but the Matses actually have no more right to use this area. We number today 2,500 Matses in Peru, spread in 14 villages called anexos and promoted by the Junta Nativa Matses based in Iquitos. 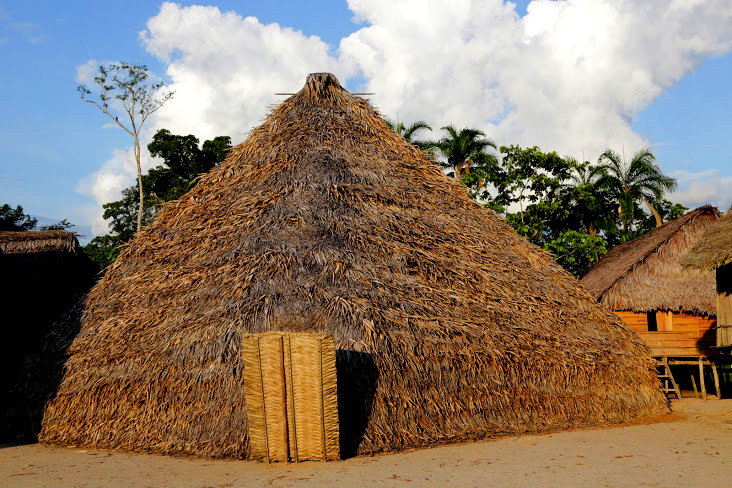 On Brazil side, the FUNAI has created a large indigenous territory, "Vale do Javari": 8.5 million hectares where live at least 1,500 Matses in around twelve border “aldeas”. We also find as many Matis, Marubo / Korubo and Kulina and / Kanamari located more inside. Around 4,000 people in total. 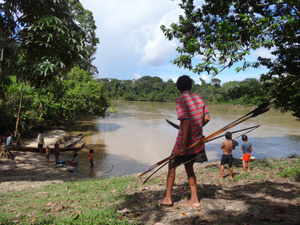 This reserve experiences since 2006 an epidemy of hepatitis B, and contents the highest density in the world of uncontacted groups (Korubo in particular, see photos from Survival International and BBC): around a dozen groups, for a total population of 1,000 individuals in voluntary isolation. Every decade, some families contact Matis and Korubo villages to get out of this ... progressive surrounding. The last was held in 2012 on Rio Itui. Following an invitation from the Junta Matses, we were the first ones to visit the Matses villages that were created between 1998 and 2002 in the South, along Rio Chobayacu, when the evangelical mission closed (we managed to see the ruins). They remained relatively recluded during ten years, refusing foreign visit and continuing to hunt with bow, having no munitions. Little has changed since the departure of the missionaries. It is surprising to see how assiduously the Indians keep chanting and praying as if Sister Luisa was gonna come back! But if we look more closely, several things have changed. First, the impressive number of children under 12, clear testimony that they stopped contraception once imposed by the sisters ... Equally surprising, the profusion of excellent craft, unknown in Iquitos and which today no longer finds direct outlet to the United States. We also noticed the resurgence of the use of medicinal plants, following disappearance of medical assistance. And beyond, they have a strong desire: "We want to rebuild our malocas!". Traditional life is reborn, but it will take a lot of effort! "Welcome, I make beautiful bridges (for you)." This sentence was the symbol of our visit because the historic heart of Matses territory, hidden in the "Good Hills" is a fortified sanctuary, far, far away from any town. It took us 2 days of fast canoe and 4 days of walking, 200 kms in total, to reach it. We had to cross a swamp during a full day and we don’t know how many rivers. This is where the Indians showed us their commitment to this project, in other words their will to change the world: they rebuilt all bridges and put handrails everywhere... so that tourists can go through! The story of our first contact, a year earlier, had already surprised us. It is very seldom that an Indian of the forest would phone from his village (with satellite connection) to ask us to organize tours in an area which is well known to be closed ! But that's what happened to us in April 2014. It took us a year to prepare and finally trigger the first tour. We directly experienced the clash of cultures, between Indians not wanting to be photographed, and tourists wondering why many traditions were gone in such a remote site... The confrontation brought the question: What is a tourist? What is he looking for, coming here? Onke Kerêve. General Meeting! Birth of the project " Matses identity revaluation - Chubo Tsikakai"
Everywhere in the Amazon and even in the most remote places, money has become a major concern, especially for children's education and access to basic consumer goods. Wild meat, fish, fruits of the forest, woods are the first exploitable resources, followed by exodus and work in town. Through tourism, the Indians hope to generate direct family income while remaining in their villages: taking jobs like carrier, boatman, guide, cook, but also by selling craft, food and even being hired to build lodges on their territory. The purpose of solidarity tourism through immersion in communities (known as friendly or experimental, for the word “vivencial” in Spanish) is to limit individual earnings (which necessarily affect a small number of families and are source of jealousy and discord) in favor of Community benefits to finance medium-sized projects. 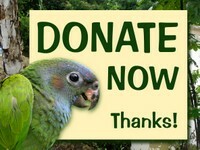 As a solidarity tourism operator in connection with development projects, Latitud Sur is too well placed to see how predatory tourism has gradually developed in Iquitos. Luxury boats, with personnel trained in Iquitos and frozen food purchased at the lowest price at Iquitos markets, regularly sail out towards the natural reserves far from Indian villages, and finally make a short stop in one village where sometimes only one Indian family has been encouraged to dance on command and show their craft. 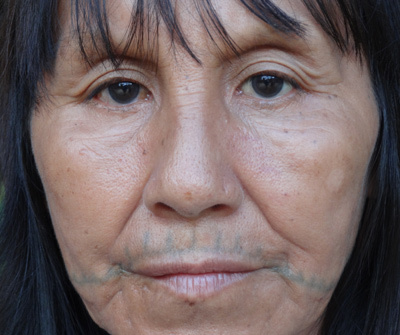 The systematic visit of the uchiro (grandparents), the chichi (grandmothers) and the Neste tantiakit (shamans), all over 60, promotes a "forgotten" or even "rejected" generation, moreover blackmarked because of their tattooed face (beauty standard rejected by the missionaries, but still practiced today amongst the Matis of Brazil). What was essential before "Contacto Matses"? How were we connecting with the spirits of the forest? The Matses willingly speak about an emetic and psychotropic toxin taken from a toad skin, that once injected into the shoulder induces vomiting and acuity to better track animals to hunt. This practice has resisted the influence of the missionaries since it was vital to continue to get food out of the forest. Links to the past are here, still alive. As discussions were running (exclusively in Matses), we surprisingly witnessed the revival of a dream that some had deeply buried: Chubo Tsikakai ! as a cry of hope, the maloca ! 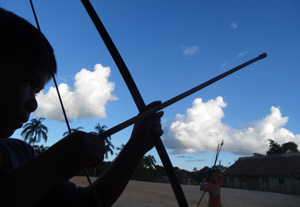 It would become again the center of the village, where the elders would teach the younger ones the use of medicinal plants, where we would learn the traditional dances and songs, where men would reconnect with Cuenden Quido, where we could present our craft and host ... tourists! The loop is closed, the virtuous circle is in place! But immediately after another question arised: Will we know how to rebuild one? Fortunately, there is one last maloca on Rio Yavari, on the Brazilian side, in Treinta y Um. We decided to establish a first contact with this village. 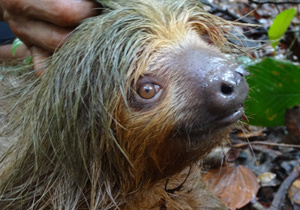 Our Peruvian Matses guides hesitated, they didn’t use to visit them, especially with white people... The contact was cold: just a few words exchanged, astonished looks and a few furtive glances toward the maloca ... which was closed ( in very bad shape), a quick photo but ... we already knew that the contact has been made: we will return in a few months with new tourists: the "Matses Maloca" project is on its way!